Former British pro Sean Yates suffers from heart problems. But he says his new e-bike has given his cycling a new lease of life, aged 58 years. 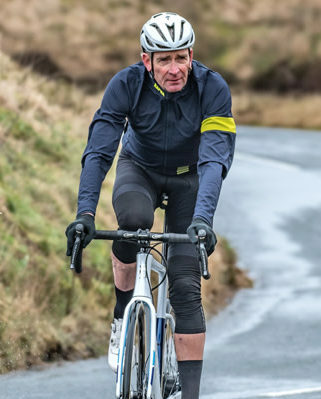 Former Tour de France yellow jersey Sean Yates has become an ambassador for Ribble e-bikes, saying he’s now able to do long rides again despite his health problems. Yates is aged 58 years and has suffered from Atrioventricular canal defect; a heart condition that means his max BPM is about 90. It means he can no longer ride hard. And while he could still do a number of hours on the bike, his recovery can be very poor. However, by riding an e-bike he gets vital assistance on the road. And it means he can train in a group while exerting himself less than those he’s with. He has been announced as the ambassador for Ribble’s e-road bike, the Endurance SLe. “I will always have the passion to ride. And the head and heart still want to experience that feeling of freedom. Without this bike I might be stuck indoors watching daytime TV. “The SLe gives me the opportunity to go back out on rides I thought were no longer possible, to still take on the epic climbs and carry on enjoying my cycling. Yates rode as a professional from 1981 to 1996, winning the Tour of Belgium overall and stages in the Tour and Vuelta as well as the British road race championships. He rode for Peugeot, Fagor, 7-Eleven and Motorola. He followed his cycling career with management positions in a number of pro teams, including Team Sky.